Cory Monteith’s cousin Richard has given an emotional interview to a Canadian news channel about the Glee star’s tragic death on Sunday morning. 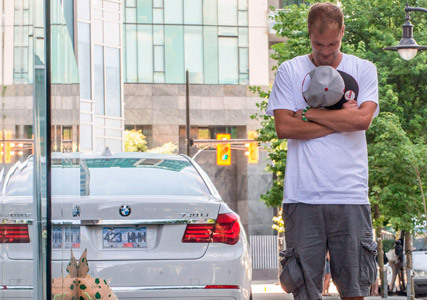 Richard Monteith spoke to Global News yesterday, describing his cousin as his ‘hero’. It’s the very first time a member of Cory‘s family has spoken to the press following the shock news. Richard was spotted outside the Fairmont Pacific Hotel in Vancouver yesterday, where Cory was found dead, sobbing as he stopped to read messages and look at flowers left by fans of the Glee actor. Cory was found dead in his hotel room on Sunday morning by staff at the Fairmont Hotel. He’d been on a night out with friends had returned to his room alone. Police have ruled out foul play and an autopsy was carried out on the star’s body yesterday, but authorities are awaiting the results of toxicology tests before they reveal the cause of death to the world’s press. Richard added: ‘Because he is such a high profile guy, you know it is not going to end there. There is going to be ridicule about – he has done this or that – and I just hope people know it is not about that… His life was full of beautiful stories, triumphs, failures and successes that it does not matter what his problems were… it matters how many lives he changed and that he was genuine. 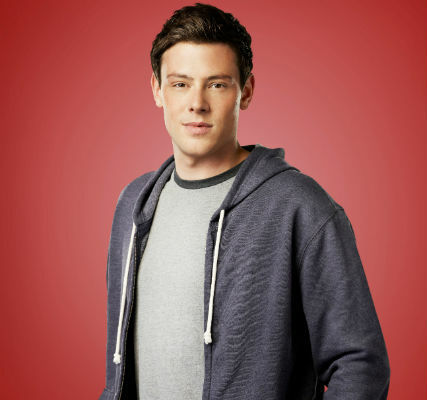 Cory was open about his drug addiction problems as a teen and in March this year he voluntarily admitted himself into a rehab facility for substance addiction. He was released in April.